It has been said that we are what we eat. A more accurate statement might be we are what we absorb from what we eat. The truth is, animal fats help restore greater gut health, which increases the absorption rate of minerals and vitamins. That brings us to the fat-soluble vitamins A, D, E, and K.
Eggs yolks for example, are rich in vitamin A, beta-carotene, choline, Selenium, Manganese, as well as pantothenic acid, and vitamins, D and K. Choline is necessary for brain building and reproductive function. More Magnesium and Niacin are found in the egg whites. We need both the egg yolk and the egg whites for complete nutrition. Let’s examine a few other foods on our ostensibly taboo list from part two. Vitamin E works as an antioxidant at the cellular level and is found in unprocessed oils as well as in animal fats like butter and eggs. True vitamin A is found only in animal foods such as cod liver oil, fish and shellfish, butter, eggs, and liver from pasture fed animals. Vitamins B6 and Bsub>12 are found only in animal foods. Vitamin D, required for mineral absorption, is found in organ meats, butterfat, and eggs from pasture fed animals. The diets of our ancestors contained ten times more vitamin D than the typical American diet today. 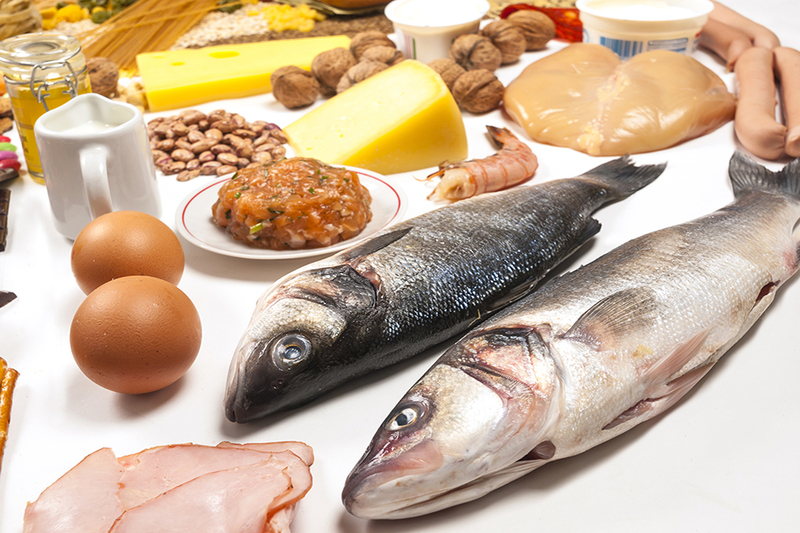 Minerals like Magnesium and Zinc are vital components of enzymes and are more easily absorbed from animal fats. CO-Enzyme Q1o, highly protective against cancer, is found only in animal foods. Cholesterol is a potent antioxidant that protects cell membranes against free radicals. Bone broths are a source of much-needed minerals and collagen, and nourish the connective tissues throughout our bodies. Raw milk and cheese from pasture fed cows are rich sources of Calcium. For those who are lactose intolerant, soured dairy products such as yogurt, sour cream, and ghee, (clarified butter from which the milk solids have been removed) are more easily digestible. Finally, the traditional diet of our ancestors included meat and dairy from pastured animals. These animal products are nutritionally superior to products from grain fed ruminants that require antibiotics and other medications to relieve bloating, and that suffer other diseases resulting from unsanitary and cramped confinement. In the fourth and final part of The Mineral Message, we will dispel the great salt myth, summarize how these aforementioned foods are not our enemies, and examine more closely the fact that if it’s not in the soil, it can’t be in the food.